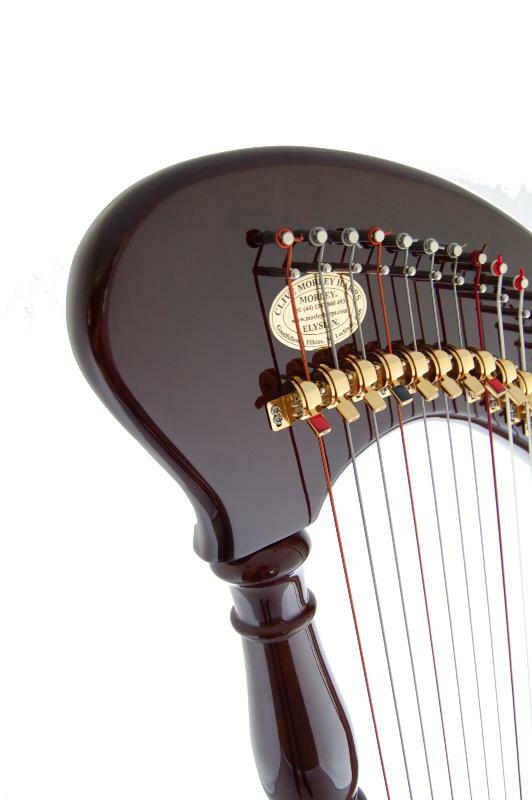 An affordable, entry level 34 string harp for educational use. Available in a mahogany brown polish. 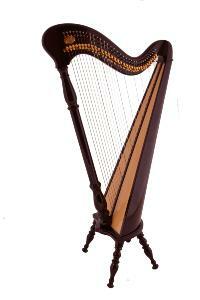 Light to medium tension strings are easier for beginners' fingers to play and provide a soft, bright sound. Colour coded levers are easily distinguishable and allow for fluent lever changes. 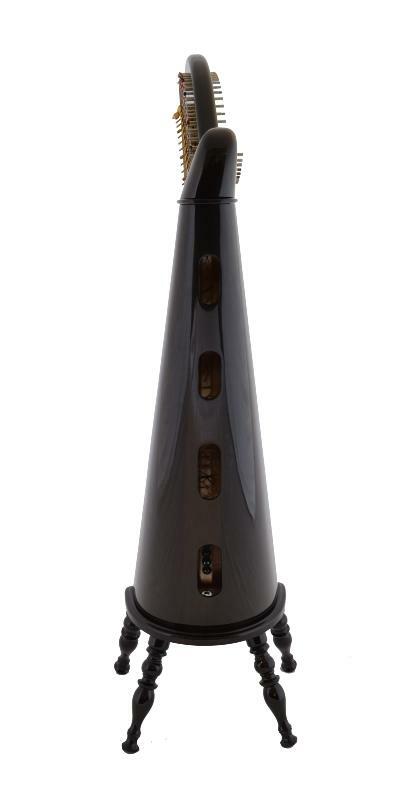 A rounded back allows maximum playing comfort and ease of reach. Four detachable legs allow the harp to be played at two different heights so that the harp grows as your child does! The legs are easily removed for transportation. 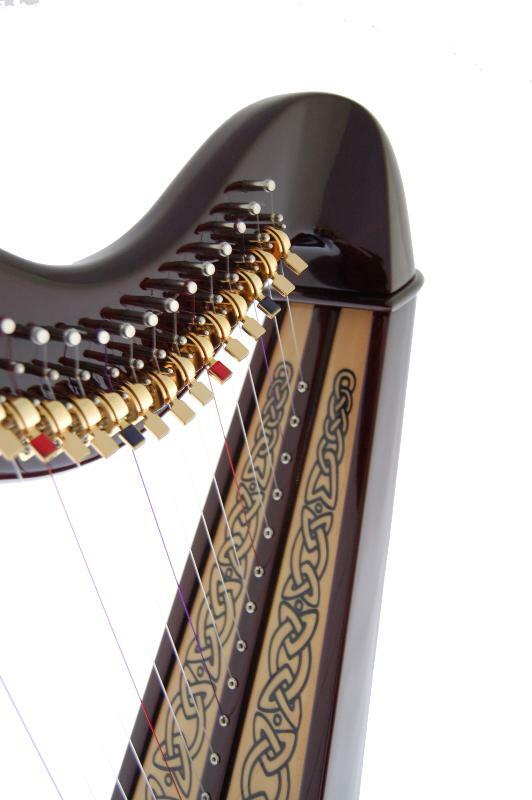 The sturdy build and high quality polish finish allow the harp to stand up well in a school environment where knocks and bumps are a fact of life. A padded drop over cover or a heavy duty carrying case, with side pocket for legs and music and two shoulder straps for portability, are both available as optional extras.